Green homes sell faster and for more money. Learn more with a HomeEco Green Assessment Report. Green homes are selling up to 25% faster than others in the same market. Highlight the green features of your home and set it apart from the competition. Green homes are getting sold for up to 10% or more in certain parts of the country. 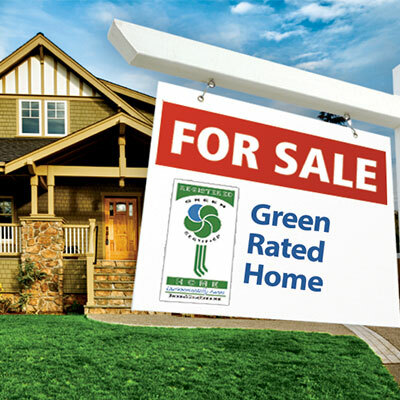 Many buyers look for green features when making a purchase decision. Even if you're not selling your home right now, a Green Assessment Report shows you the best green features of your home as well as opportunities for improvements. HomeEco is the only residential program that offers homeowners a quick and no-hassle way to qualitatively document the various green features of their homes. Our patent-pending technology covers the four primary areas of a home's environmental impact including energy, air quality, materials & maintenance, and water & landscape. And, the HomeEco program incorporates nationally recognized certifications like LEED for Homes and Energy Star to make sure your assessment is complete and accurate. Use our online registration form to let us know the best time for your in-home assessment. A HomeEco customer care representative will contact you to confirm your appointment day and time. A HomeEco inspector will come to your home to perform the assessment. The process takes about an hour and will not be invasive to your home or furnishing. Your Green Home Assessment Report will be available immediately once the inspector has finished. See areas where your home really shines as well as opportunities for improvement. Promote your home's green features to potential buyers with a copy of your report and other materials from HomeEco. In addition, your home will be listed in our national database. Need a Green Assessment Report Fast? Contact us! Stand out from the competition when selling your home by providing buyers with a Green Home Assessment Report — your blueprint for a healthier, greener, more comfortable home. What Exactly is a “Green” Home Assessment? Home buyers and real-estate professionals looking for a “green” home may not always understand the characteristics that qualify it as such. As a third-party agency, HomeEco has developed an independent set of standards that everyone can use to represent how well a home measures up. 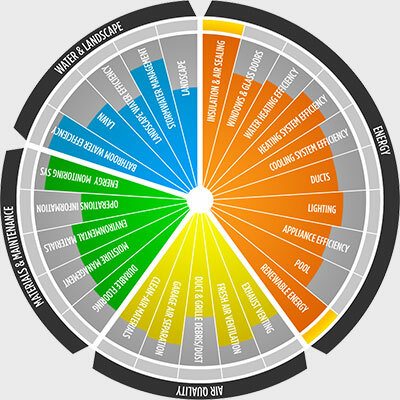 Our Green Home Assessment evaluates four different areas using a comprehensive scale developed by experts. This is not a pass/fail system, but instead is inclusive of all homes to qualitatively grade a home's impact on the environment. Your Green Home Assessment is like a blueprint for making your home more green. Use it as a baseline of where you are today, then, review your report for ongoing opportunities to make further green improvements. Your report is a working, living document that will stay with your home when you sell it and give future owners the information they need to continue being green. Thanks! You have been registered to receive our newsletter.